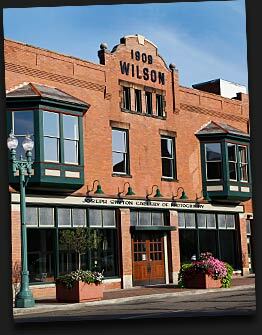 Located in the heart of the Canton Arts District, the Joseph Saxton Gallery is the perfect starting point for a day of downtown wandering. Loads of local restaurants, galleries, shops, museums, and a farmers market can be found within a short walk of the gallery doors. Directions: From I-77 take the Tuscarawas St./Downtown exit and head east on Tuscarawas for approximately one mile. Turn left on Cleveland Avenue and continue north one half mile. We are on Cleveland Avenue between 5th and 6th Street N.W. The Gallery parking lot is across the street from the Gallery, on the corner of Cleveland Avenue N.W. and 5th Street.